There are companies who seemingly couldn't care less about their customers, and then there are companies like Newport Lexus. I've serviced my car at Newport Lexus for four years now, but the service has never been better than it is today. Yesterday it was time to take my car in for service. I called and let my service rep know I'd be arriving in about 20 minutes. When I showed up, the paperwork was already filled out and my preference in loaner vehicles was sitting there waiting for me. All I had to do was sign the paperwork. I literally walked inside, sat down, signed on the dotted line, and walked out to my loaner. I was in and out in less time than it takes to make a latte. It's refreshing to know that some companies still care about treating their customers right. This is the kind of level I try to give people who use the things I build, and I appreciate receiving the same kind of treatment. It's why we built Less Neglect - an amazing support tool to help us support our users of FolioHD and The Mux. When businesses go the extra mile to make their customers feel special, the loyalty they'll have is far greater than if you simply provide adequate service. And that's what makes customers for life. 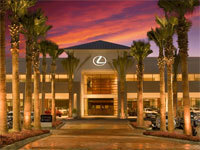 Oh, and if you own a Lexus in Socal, go visit Joey Wilchek at Newport Lexus. They sound be your favorite I believe. I saw your post, through the subject is new too me,its easy to understand the facts behind this.